Play rooms, teen rooms and flex rooms have become increasingly popular requests in residential home design. We love an opportunity to think outside the box and create a fun and creative space for young minds to feel at home. 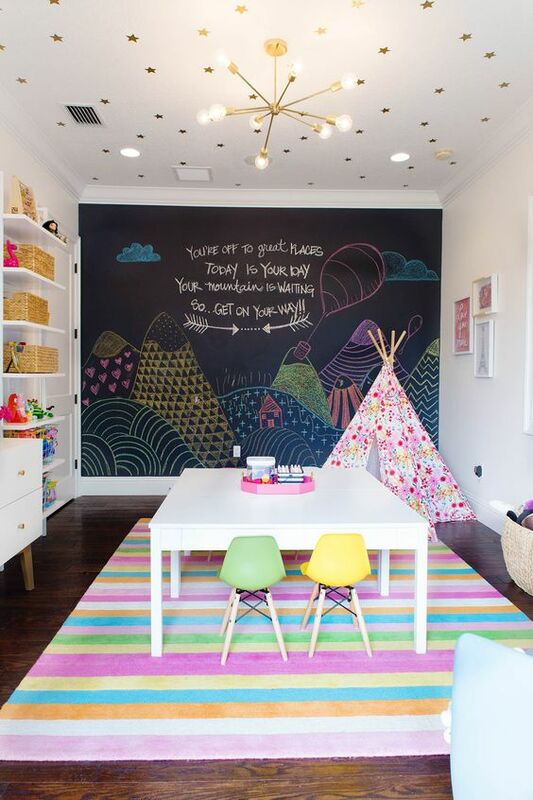 This lively space displays a large chalk board wall for doodling and art projects. We love the idea of a large table work space and open shelving for storage. A flex room with low, comfy seating and funky artwork make the perfect teen hangout space. 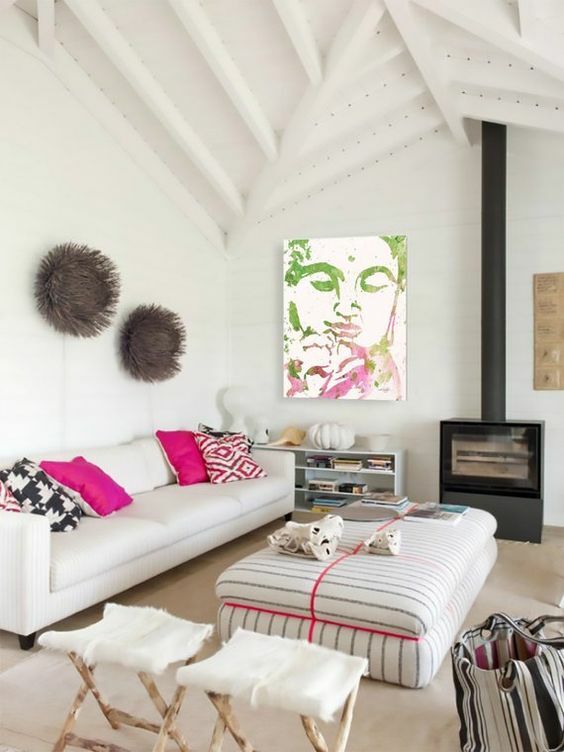 Brightly colored accent pillows and details add a youthful vibe. Have you ever seen a more sophisticated kids craft room? The details of the colorful rug to the sweet pendant chandelier are just darling. 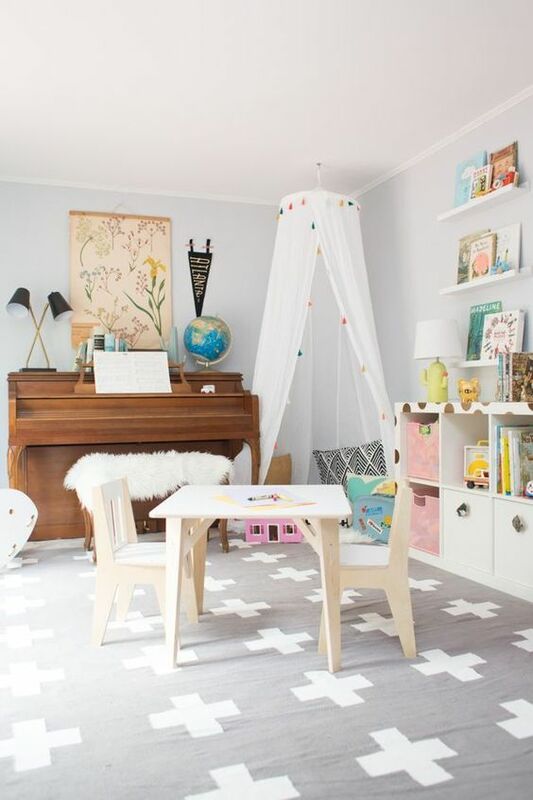 A quirky graphic wallpaper or bold piece of furniture make great additions to a children’s playroom; this space happens to have both. 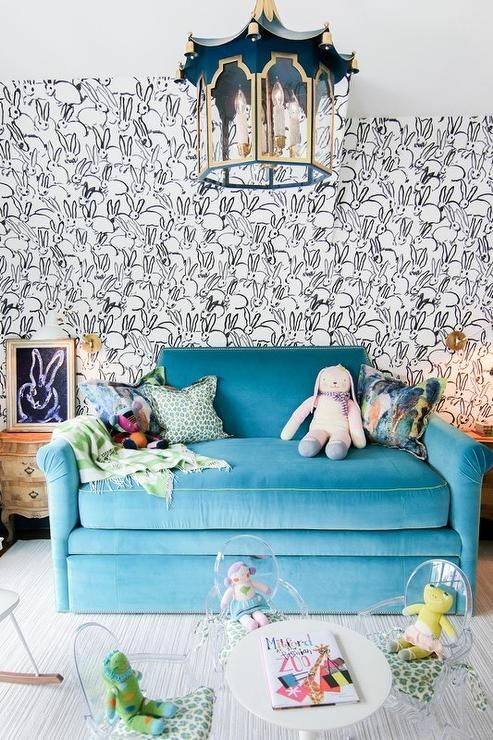 We love the subtle, or not-so-subtle, bunny theme throughout this adorable space! 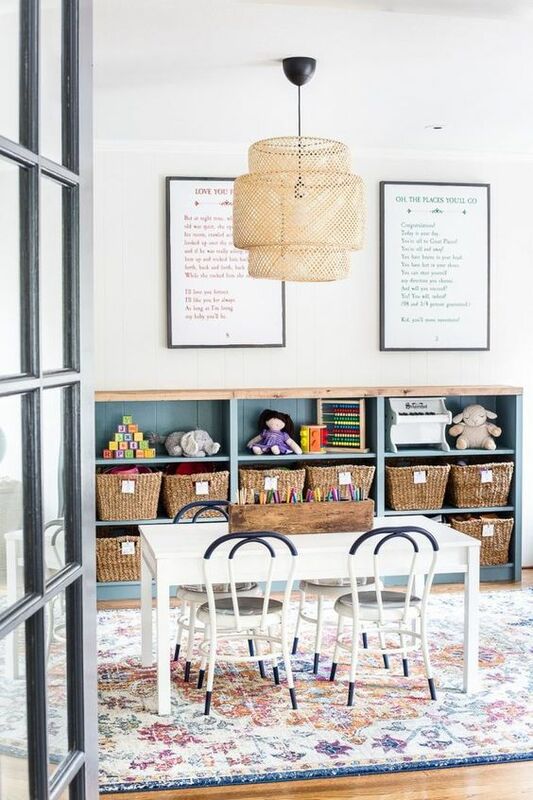 A perfect creative space for kids should always include books and musical instruments! The soft grey hues used on the walls and carpet create a warm peaceful backdrop in this flex room.